Newfies-Dialer is a powerful SMS and Voice Broadcasting system which can be installed on dedicated servers or cloud servers. The underlying telephony engine is Freeswitch, and it is designed to send calls via VoIP using the SIP protocol and is compatible with nearly all SIP carriers. 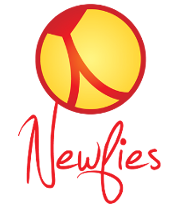 Newfies-Dialer comes installed with a web interface to allow the easy configuration of market messages, surveys and campaigns. We suggest you follow the quick start guide to get an overview of the system, then start creating your own surveys and campaigns. © Copyright 2017-2018, Newfies-Dialer mass outbound calling, voice broadcasting, phone survey solution <newfies-dialer@star2billing.com>.